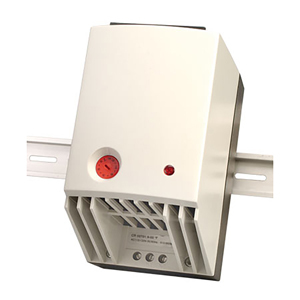 An easy DIN rail mountable design makes the CR027 Series fan heater an ideal accessory for any enclosure. The CR027 maintains minimum operating temperatures in enclosures and helps to prevent failure of electronic components caused by condensation and corrosion. For outdoor applications it is recommended to double the heating power.